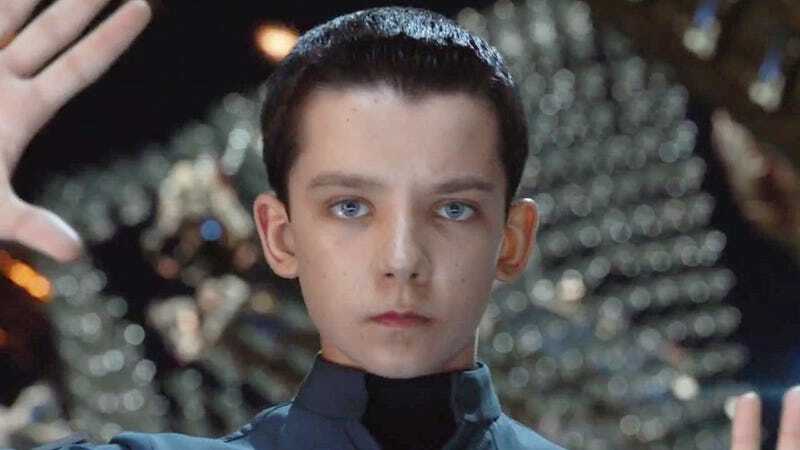 Ender's Game star Asa Butterfield will also play the lead in the intriguing film Out of This World, where he'll play a kid who was raised in secret on Mars. Out of This World is a Relativity film based on the idea of a female astronaut discovering she is pregnant while on a mission to colonize Mars. She dies in childbirth, and he's raised in secret on Mars. As a sixteen-year-old, the kid makes it back to Earth with the help of a mission specialist — presumably one of the people who raised him on Mars — and embarks on a road trip across America to find his father. He does this with the help of a young woman he's been communicating with, which I think we can safely guess will be a romantic subplot. I'm totally into this premise, and I really hope we spend a fair amount of time seeing how a kid who spent his whole life on Mars reacts to Earth. And I really hope it's played in an interesting way, rather than as a jokey, fish-out-of-water, way. Regardless, Butterfield's racking up a fairly impressive range of genre projects under his belt, from Mordred in Merlin, Hugo in Hugo, Ender's Game, and next year's Miss Peregrine's Home for Peculiar Children.